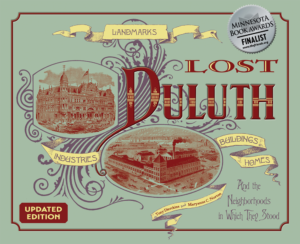 Construction of the Duluth Normal School began in 1898, but a 1901 fire gutted the unfinished building. 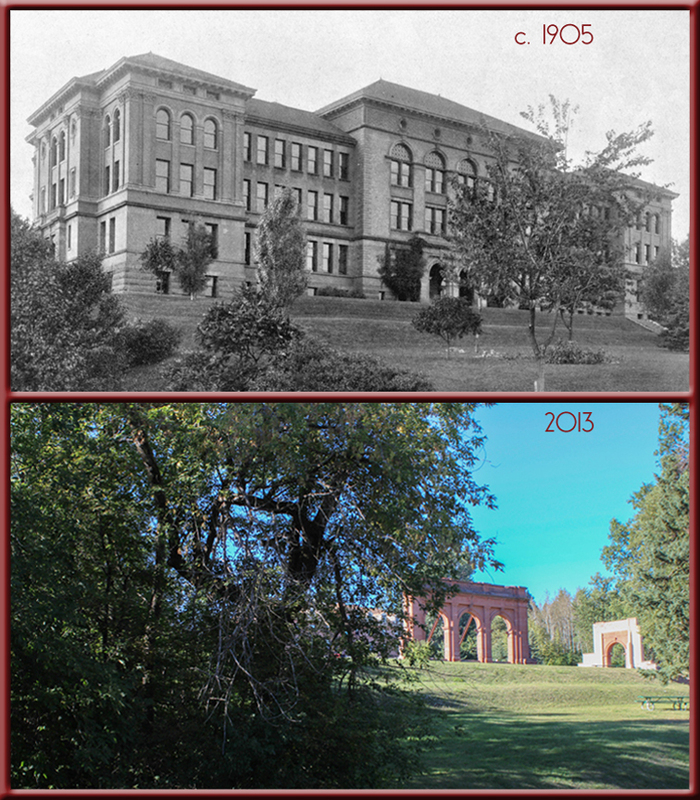 Rebuilding and completion of the Renaissance Revival-style school was delayed until 1901 at a final cost of $80,000. The school, whose mission was to train local students to become teachers, opened in September 1902 with 91 students and ten faculty members. The original brick building was enhanced by two wing additions designed by William A. Hunt in 1909 and 1915. 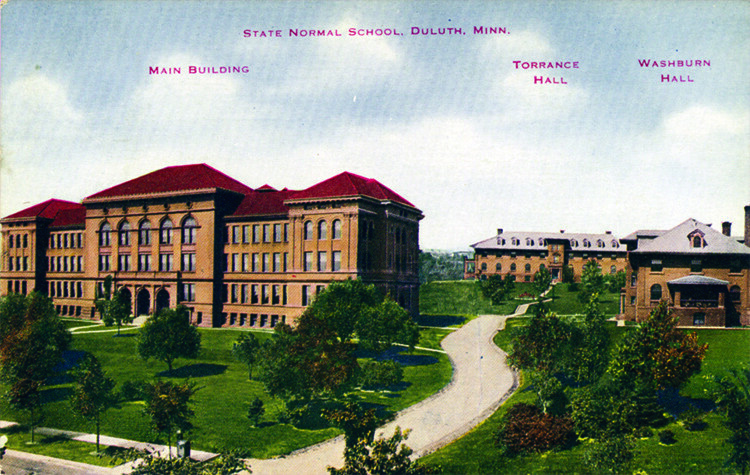 The Normal School became the Duluth State Teachers’ College in 1921 and, in 1947, the University of Minnesota Duluth. Most classes were moved to the newly developing upper campus in the 1950s. “Old Main,” as the school had then come to be called, served as the university’s theater and was also used for office space. In 1985 the building closed and was vacated, awaiting renovation into apartments. On February 23, 1993, vandals broke into Old Main and set it on fire, completely gutting the building. Except for the three arches of its main entryway, the school was demolished. The arches are now part of Old Main Park. The former campus’ other three buildings, Torrance Hall, Washburn Hall, and Model School Building remain. Torrance, built as a dormitory, is now an apartment building, and the Model School Building is a research lab.